Latinos suffer from some of the highest obesity rates in the nation. Health officials have tried to intervene with messaging that encourages healthy eating and healthy behavior, but these campaigns have met with little success. According to Ramirez, much of the problem stems from children of immigrants adopting American diets. These diets tend to be highly processed and high in unhealthy ingredients like fat, sodium and sugar. They're also low in healthy ingredients like fiber, complex carbohydrates and fresh fruits and vegetables. This remains true despite gains in income and education, which are generally associated with better health outcomes. But Ramirez’s new study provides insight into why the acculturation paradox affects Latinos. 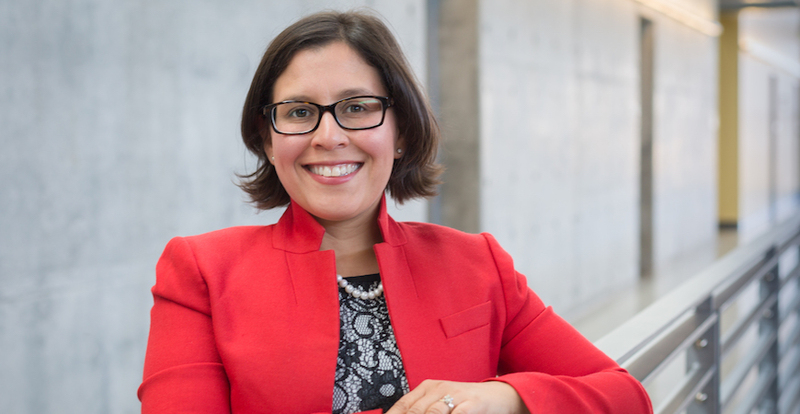 Ramirez and her collaborators surveyed young, bicultural women — ages 18-29; of Mexican descent; living in the Central Valley; fluent in English — about diet and cultural values. Healthy living messages often don’t take culture into account. For me, that suggests a pretty radical approach to health communication, an approach that’s empowerment based. A number of themes emerged from the data. Ramirez found that participants were proud of their Mexican heritage, which they associated with family time, traditional Mexican cooking and the Spanish language. Though many participants admitted to a limited knowledge of traditional culinary techniques, and only a fraction spoke Spanish fluently, all three aspects of traditional culture were of tremendous personal significance. “Thinking of themselves as Mexican is a source of pride for these second- and third-generation women,” Ramirez said. Participants also reported a desire to eat healthy. They listed portion control, balanced meals, and fruits and vegetables as part of a healthy diet; fried foods and foods high in fat and sugar were seen as unhealthy. They were also able to identify specific consequences of unhealthy eating, including obesity and diabetes. The findings suggested that the prevailing wisdom about healthy diets had reached the group, but those messages weren’t having the intended effect. Ramirez had identified a second paradox, one that pitted kitchen against culture. Though respondents viewed traditional Mexican cooking as essential to maintaining their ethnic identity, most described Mexican food as inherently unhealthy and incompatible with a healthy diet. The solution, according to Ramirez, is a new approach to health communication — an approach that builds on the importance of Latino culture and frames the issue in ways that are relevant to the community. “Healthy living messages often don’t take culture into account,” Ramirez said. “For me, that suggests a pretty radical approach to health communication, an approach that’s empowerment based. “Talk about food and nutrition as rights they can advocate for in their community. Talk about how Latino populations are disproportionately targeted in marketing for junk food and fast food in their communities. It’s an approach that empowers young Latinas to decolonize their diet." This study was supported with funding from the National Cancer Institute.